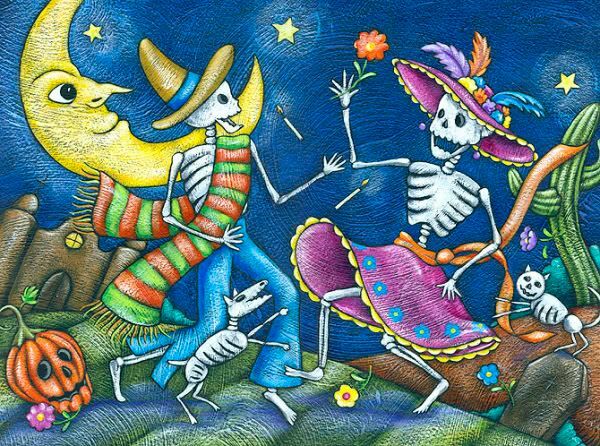 Most people, knowing my disinterest in Halloween, are confused to learn that I really enjoy the celebration of Dia de los Muertos. As a matter of fact, this is my favorite holiday in my new home country and I look forward to it every year! 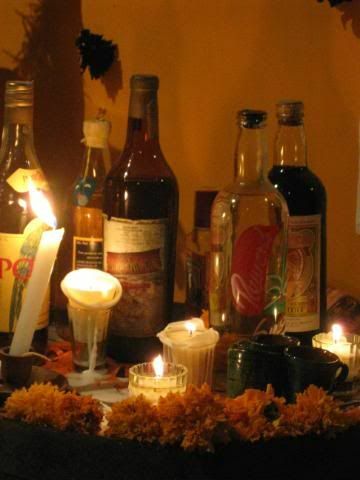 Commonly known as Dia de los Muertos (Day of the Dead), this is actually two holidays celebrated on the first two days of November, presenting an interesting mix of pre-Hispanic practices and Roman Catholicism. 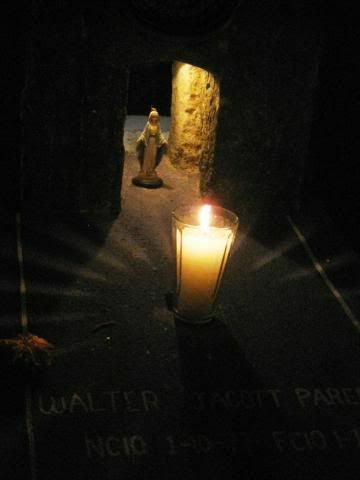 November 1st (All Saints Day) and is the day generally set aside to remember children and babies who have passed while November 2nd (All Souls Day) has its focus on adults who have moved on to the next realm. This is a time set aside every year for everyone to recognize, remember and celebrate the lives of their ancestors and departed loved ones. This time of reflection is unique to each family and the festivities vary regionally. It is a time not only to applaud and appreciate accomplishments but to acknowledge shortcomings and character flaws as well. It is also an appropriate time to share stories and even funny anecdotes about relatives. 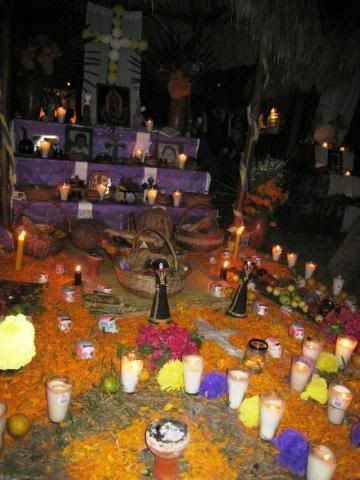 Many families erect a multi-leveled altar in their home, decorated with pictures of the deceased, candles, flowers, "papel picado", religious and/or pagan ornaments and statuary and often, seasonal symbols of the harvest. 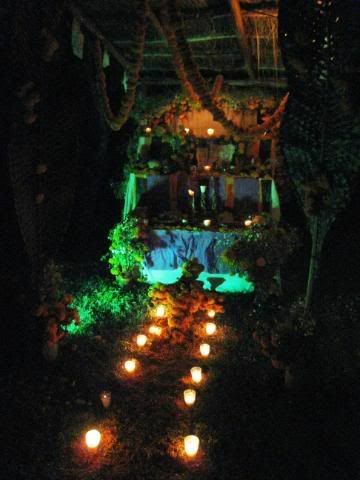 Sugar sculls marked with the name of the deceased, "pan de muerto" and special treats such as candied pumpkin are often used to decorate the altar. Family members will then add in special offerings to their dearly departed in the form of favored foods and beverages, even cigarettes. 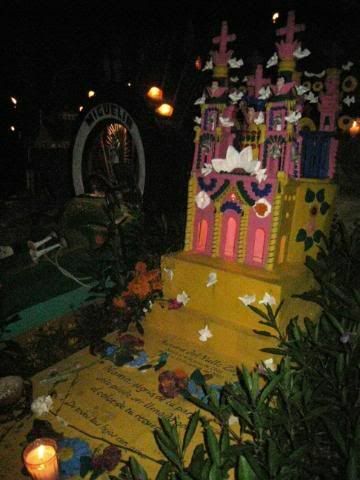 Many families will gather together at the graves of their relatives in a fiesta-like atmosphere, enjoying the favorite meals of the departed and leaving their gifts or "ofrendas" on the grave site. 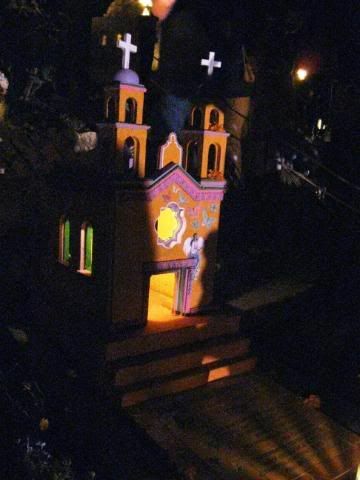 Rather than the somber memorials we were used to in the U.S., these gatherings are meant to be quite lively, often involving large quantities of tequila, music and sometimes noisy fireworks, set of to draw the attention of the spirits. 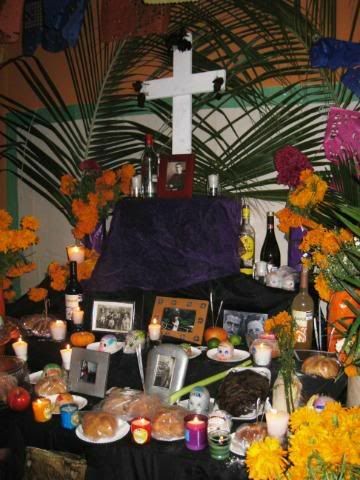 In direct contrast with our cultural fear and avoidance of death, Mexicans are quite comfortable with the idea of the afterlife and welcome the spirits of the dead to return and cavort among the living. All manner of devises are employed to capture their interest and direct them to the meeting place, whether it be in the home or grave side. 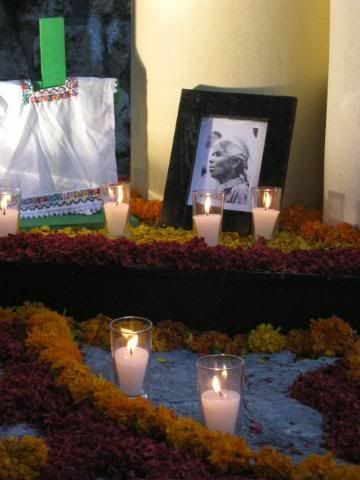 The elaborate mosaics comprised of orange marigolds, "cempazuchiles", synonymous with Day of the Dead festivities, are one such sign-post for the spirits to follow. 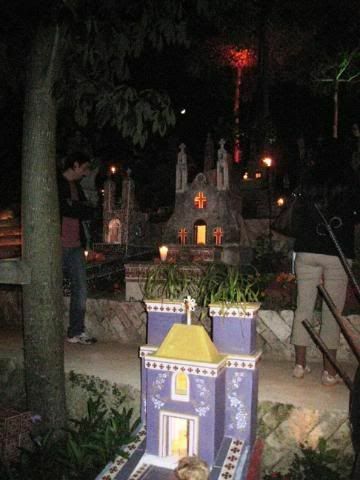 Gifts placed on the graves and altars are meant to entice the spirits to join in the festivities. 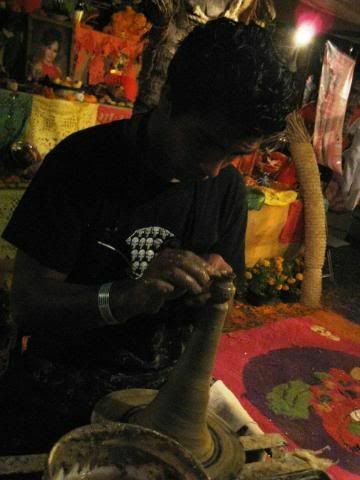 "Copal" is burned; the scent intended to guide them on their journey. Objects thought to make the returning "guests" feel more comfortable, such as calaveras (skulls) and calacas (skeletons), are displayed in many forms including papier-mâché masks, clay figurines, intricately cut paper designs and even face/body painting. 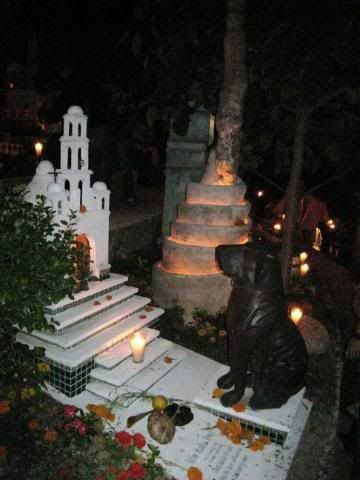 It is, perhaps, this aspect of the celebrations that causes us to draw correlations between Dia de los Muertos and our more modern Halloween. Our Halloween, as we know it today, was actually brought to North America by Irish and Scottish immigrants as the pagan Celtic festival of the harvest, "Samhain" . 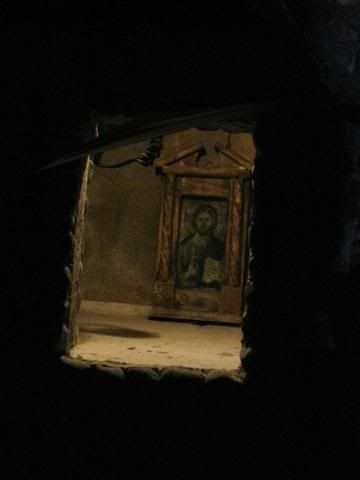 It was believed that, at this time, the veil between the two worlds, that of the living and that of the dead, was lifted, allowing the departed to travel into our realm. Costumes and masks were worn to appease possibly hostile or evil spirits and protect their crops and livestock from the wrath of these unruly souls. 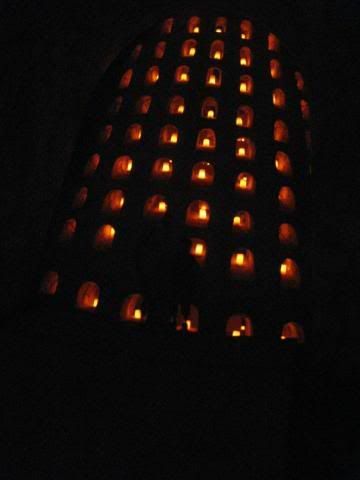 Like many pagan celebrations, "Samhain" was assimilated by the Roman Catholic Church, eventually becoming "All Hallows Day". 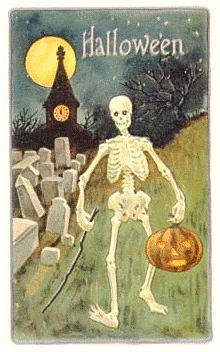 Halloween is the "eve" of All Hallows Day. While some of the symbolism is nearly identical, the significance of Dia de los Muertos and Halloween is quite different. 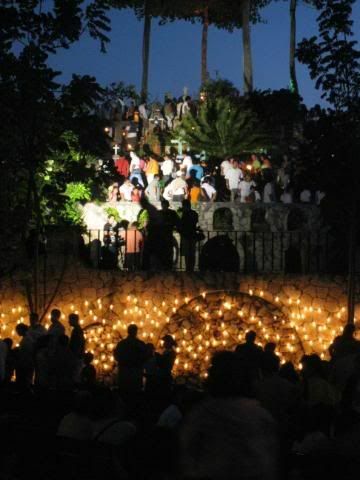 Like many tradition Mexican holidays, the festivities in Playa del Carmen are somewhat watered-down. Being a relatively new city, we simply do not have the sense of tradition brought my generations of families living and dying in the same city. Our cemetery is still rather small and sadly rudimentary, lacking the panache and creativity we have seen in other Yucatecan cemeteries closer to Merida, Valladolid and Tizimin. 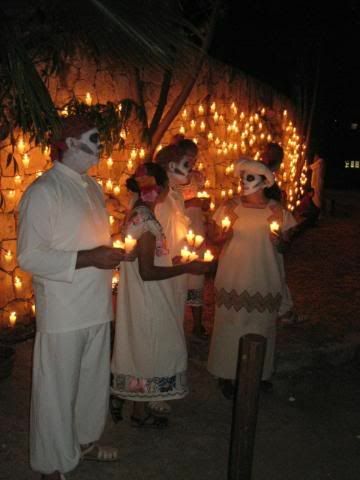 In Playa del Carmen, if you want to experience a taste of Dia de los Muertos, Xcaret is the place to be. 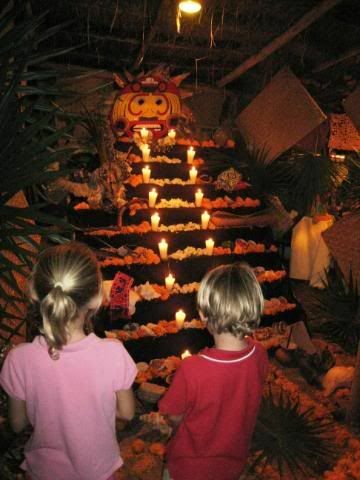 We make our pilgrimage to Xcaret to see the Day of the Dead exhibitions every year and it is our favorite time to visit the park. Beginning at 4pm, the park is completely transformed for the festival with dozens of authentic altars, art and photography exhibitions, face-painting areas, various food stations with typical Mexican foods prepared right on site, craftsmen weaving hammocks, blankets and belts, potters throwing earthenware pots and sculpting crosses and a host of musicians and performers all serving to create a wonderful rendition of this traditional celebration. I foolishly arrived at the park with a partially charged battery in my camera, but I did manage to get a few good shots from this year’s exhibition. 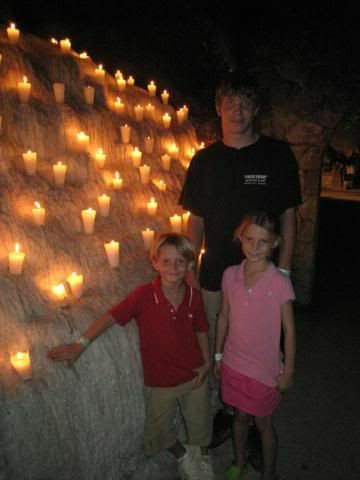 As every year, we all enjoyed the Dia de los Muertos festivities at Xcaret. The special exhibitions and shows are open to the public for four days with reduced pricing after 4pm. For more information, visit their website www.festivaldevidaymuerte.com. I have to say, this is the most comprehensive guide I've ever seen on the subject of Dias de los Muertos I have ever seen. It's not only well written, it's thorough and contains just the right amount of links. Thank you Davis! we are looking forward again to this year's festivities!! this web site is raw.really ckaugkht my attention. you should make more gkood websites. This is my first visit to this blog. We are starting a brand new initiative in the same niche as this blog. Your blog provided us with valuable information to work with. You have done a marvellous job.